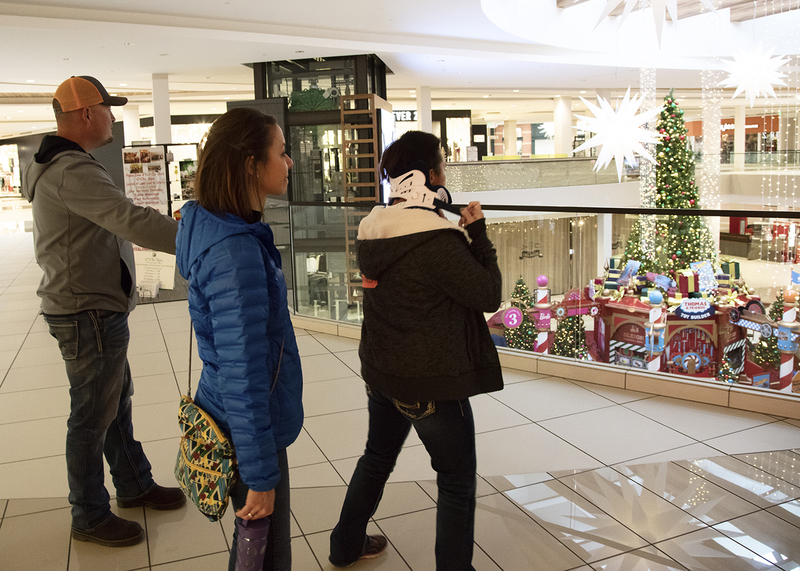 Every year, Craig’s therapeutic recreation staff organizes a shopping outing for current spinal cord injury and brain injury patients and their families to work on therapy goals out in the community during the holiday season. Organization and communication are important aspects when planning these outings. 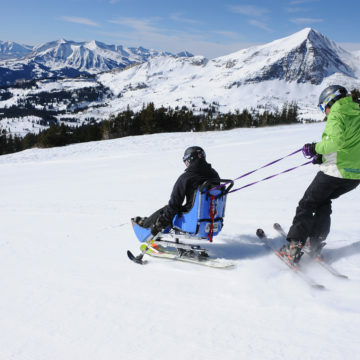 Craig therapeutic recreation staff organize transportation, departure/return times for patients, medical clearance, therapy goals, family members, and assign staff responsibilities, including nursing staff to make sure medical needs are met. 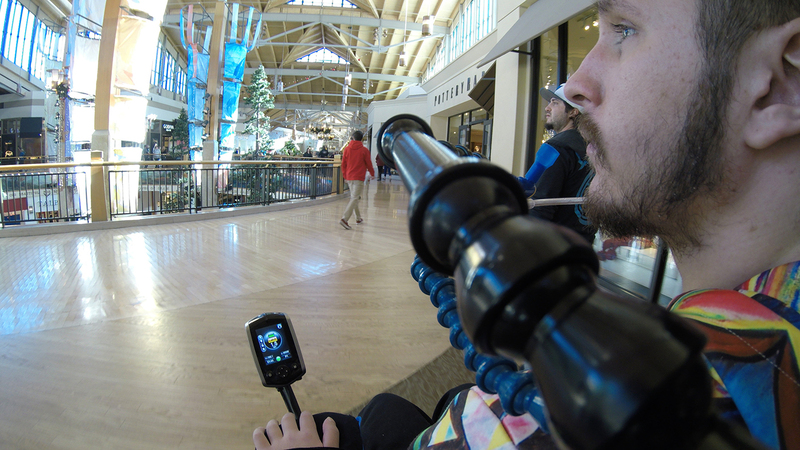 The shopping outing allows patients to work on mobility, driving wheelchairs in a crowded place, navigation, self-care, socialization, family education, advocating for themselves in the community, problem solving, and building confidence outside of the walls of Craig. 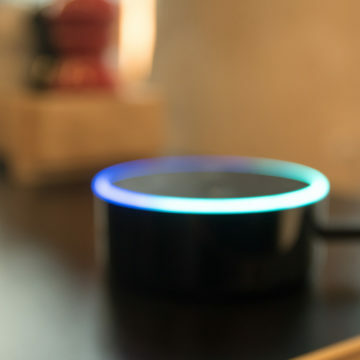 In addition, brain injury patients can practice money handling, time management, scanning, navigating a high sensory environment, and other goals specific to each patient. “Craig has taught me the knowledge & skills needed to problem solve while out in the community and has given me the confidence to go back into the world,” says Billy, a spinal cord injury patient. Jesse, a brain injury patient, and Jenna, an occupational therapy student, spent the morning shopping for Jesse’s family. “We worked on functional navigation, time management, scanning, fine and gross motor activities, and upper extremity arm goals. Shopping was a great way to practice these therapy goals because she had to scan a store to find what she was looking for, reach and grab for items to look at, pull out her credit card, and practice money management. 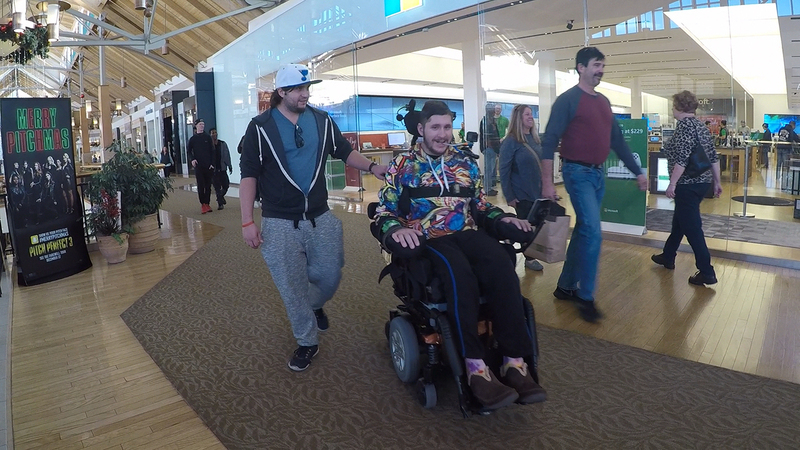 “I had a blast on the outing today and it was so nice to get out of the hospital and do some shopping,” says Jesse. 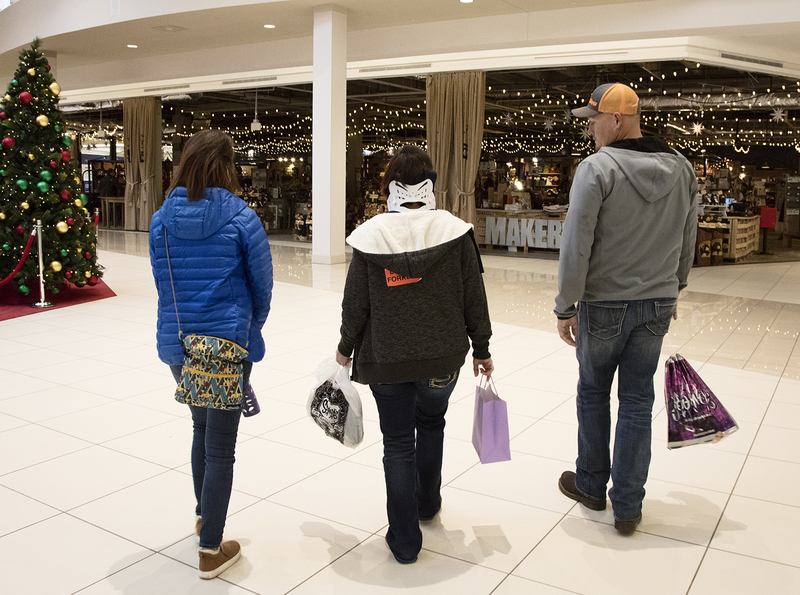 Holiday shopping for presents with their family also provides a sense of normalcy. “Not only do patients work on physical therapy and occupational therapy goals within a community setting, they can also celebrate the holiday season with their family,” says Kimmy Strat, certified therapeutic recreation specialist (CTRS) at Craig. 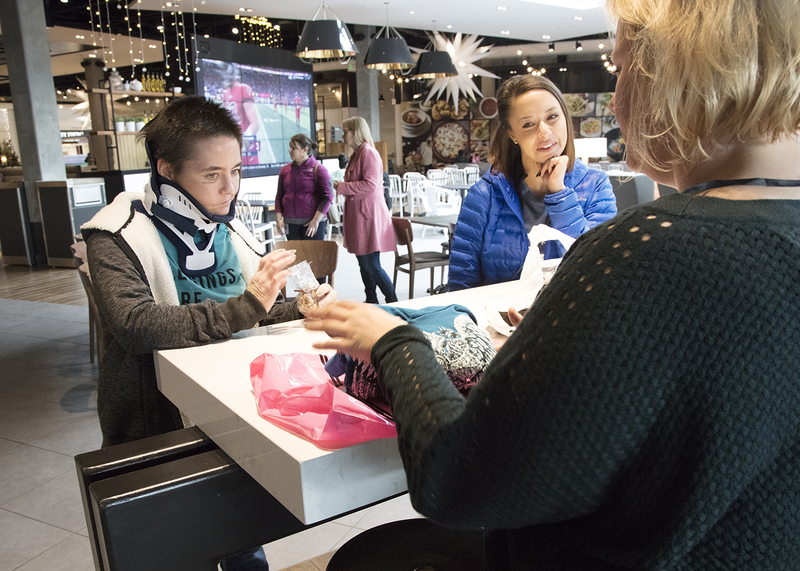 This year, members of the outpatient brain injury community recreation group joined the brain injury shopping outing to help wrap gifts for other inpatients and their families. 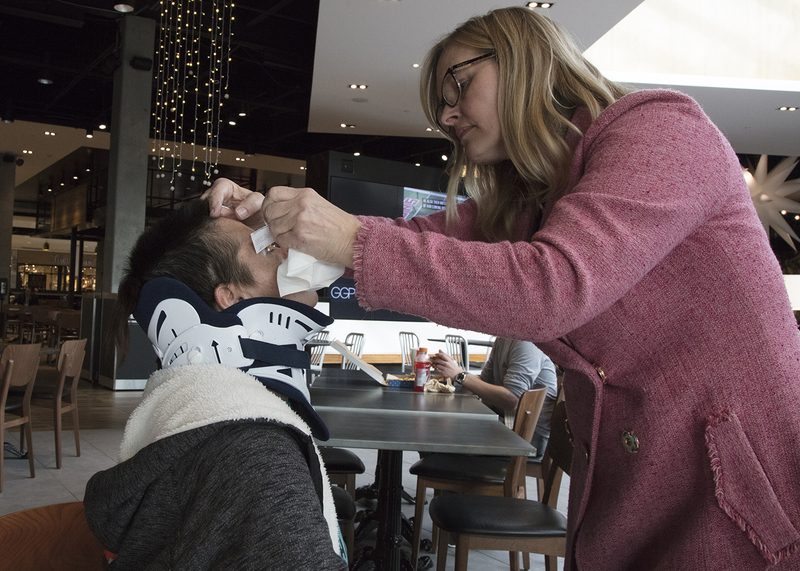 “They remember what it feels like to be at Craig during the holidays and wanted to give back to Craig families and patients going through something similar,” says Joan Danks, therapeutic recreation supervisor. “It’s also important for inpatients and their family members to see someone that is 4-5 years post injury and that people can get back to something purposeful and meaningful,” says Joan. Another unique aspect of the outing is that the Craig Foundation donates funds to assist patients with their holiday shopping during this difficult time. 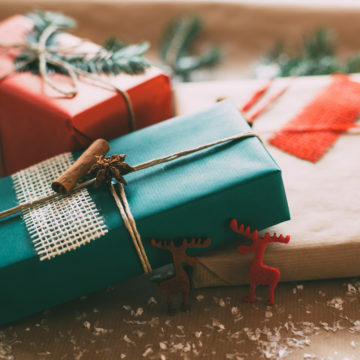 “It says a lot about where we work that the hospital gives each patient a monetary gift to help them buy presents,” says Joe Fangman, physical therapist at Craig.